Composer and pianist Tristan Eckerson is a bit of a nomad—both literally and musically. Moving from city to city since his teenage years, he’s developed an ear for musical exploration and a willingness to follow the melodies wherever they lead him. His compositions draw musical inspiration from around the world, distilling it through the uniquely tender, quiet introspection that only solo piano music can express. The music itself is nomadic, balancing a restless, forward momentum against moments of silence, reflection, and restraint. Eckerson’s new album Disarm, which comes out September 16 on 1631 Recordings, features a collection of solo piano works which blend elements of minimalism and modal jazz with more traditional classical idioms. But you don’t have to wait until September 16 to get a taste. We’re thrilled to premiere the title track off the album right here on Second Inversion. Give it a listen and read through our interview with Eckerson below. Second Inversion: What was the inspiration behind “Disarm”? Tristan Eckerson: I had been getting really into modal writing and listening to a lot of Chick Corea, and I wanted to do a piece that was modal all the way through—so that was the basis for “Disarm.” I also think it was inspired by listening to a lot of Alberto Ginastera for the same reasons. I didn’t want to get into tonal harmony at all, but I still wanted to do something that had some variation, a chord progression, and excitement. SI: How would you describe the sound of this piece? TE: It’s definitely modal and you could say it has a modern, minimalist sound, at least to me. It also harkens back a little bit to Ginastera, or at least that’s what I hope. I think it’s energetic and I was really trying to fuse the sounds of jazz and world with contemporary classical—to make something that wasn’t outwardly “jazzy,” but that incorporated elements of modal jazz, was composed, and could still fit into the world of what’s considered “contemporary classical” music. SI: How does this piece relate to the rest of the album? TE: I think it is the lynchpin of the album. I wanted to do something minimal, ethereal, and modal, but also contemporary, genre-bending, and exciting. And I think that “Disarm,” being the title track, is a fusion of all of those things. Some of the other pieces have elements of one or the other, but “Disarm” combines the many elements that I like in classical and contemporary music into one composition. Tristan Eckerson’s full-length album Disarm comes out September 16 on 1631 Recordings. Click here to view tour dates for his European tour in September. Symphony Number One is Baltimore’s newest chamber orchestra dedicated to performing and promoting substantial works by emerging composers. Led by Music Director Jordan Randall Smith, Symphony Number One brings together great composers of the past, virtuoso performers of the present, and the leading compositional voices of the future. Their new album, more, is released on December 16 but we’re thrilled to offer a Sneak Peek Audio Leak of one of the selections: The Promised Burning by Andrew Posner. Inspired by the Sabbath poems of writer and activist Wendell Berry, it’s a musical representation of man-made environmental destruction and the profound grief that future generations will feel en masse when the effects of this destruction are painfully obvious. It is a call to awaken from the delusions that we are separate from the Earth and that its resources and ecosystems are expendable tools in our fruitless attempts to satisfy our greed. The album features music by two other young, talented composers. Timelapse Variations by Natalie Draper and Light Cathedral by Jonathan Russell round out this sophisticated third album from an ensemble with a very bright future ahead. In advance of its release this Friday, July 22, Second Inversion is pleased to present to your ears for the very first time, Kirk Starkey’s Songs of Sudbury, an autobiographical musical landscape with gorgeously intertwining melodies, pizzicato thumping beats, driving lines, and ambient sonorities. It has enough underlying art-rock flavor to please fans of Radiohead or Muse and enough soaring, sweeping cello beauty to please the traditional classical heads, and the originality to make you question what kind genre, if any, it falls into. “My father worked in Sudbury in the mines, and I was born and lived there until the age of four. We never returned leaving behind an unattended family trauma. It was the my first time returning since childhood when I performed at the Northern Lights Festival in 2012. At this point my transition from classical performer to sound artist was already well underway. Songs of Sudbury was recorded at Catherine North Studios in Hamilton, Canada, following suit with Kirk’s specialization in recording in beautiful spaces. He’s also a frequent television score collaborator, and can be heard on X Company, Flashpoint, and Hannibal. Imagine you’re here. It’s the largest and northernmost region of Finland, known as Lapland. Only 3.4% of Finland’s population lives here and the population has been declining for the last 25 years. Peaceful, serene, remote. 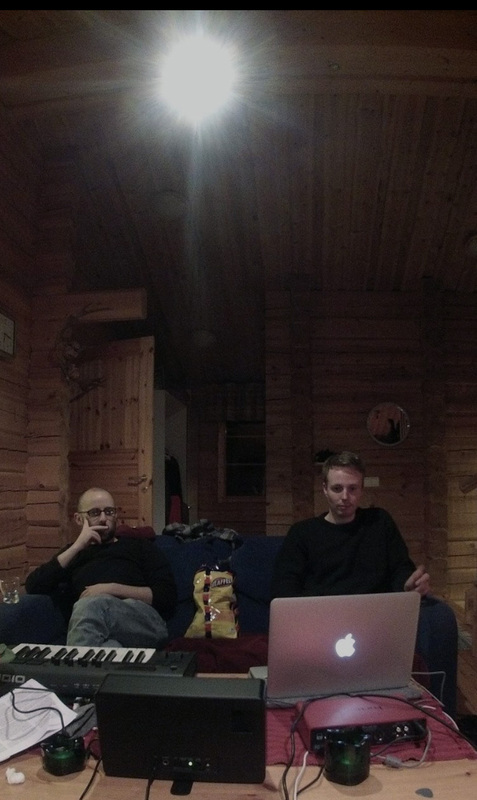 Now imagine you’re here recording an album in a remote cabin for one week only. Start to finish, Jon Buckland and Andrew V. Phillips had this very experience, and the fruit that bore is Pale Ground. They had no formal, thematic, or stylistic plans, but rather set with intentions to reflect and react upon the landscape, the vastness, the distance, and their emotions that came with it. Beginning with “Close In,” Buckland and Phillips perfectly depict the snowy landscape, the Pale Ground, in all its expanse. Slowly unfolding harmonic and melodic ideas strike feelings of contemplation, longing, and searching. A sparkle, the sound of a sleigh bell, emerges amidst the grey backdrop. It’s a subtle nod to the season, and to hopefulness of finding one’s way through the never ending landscape. Bell-like tones ring throughout “Nautical Twilight,” evoking twinkling stars and a dreamlike state. By the end, it gives way to a demon, emerging at first with gentle persistence. This “night terror” fights with intensity, but only for a brief two minutes, through “The Machine,” and releases its tension into “Skull Beneath The Skin.” By this point, the album has established an ebb and flow that keeps this listener on her the edge of her seat to hear what unfolds next. After one week, I don’t know if I’d have cabin fever or would want to stay there forever, but I’m glad to have been transported there for 30 minutes with this music. Whether your day-to-day surroundings are vast or compact, I encourage you to immerse yourself in the simulation of space by way of Pale Ground and travel to this virtual winter wonderland of mystery, discovery, and hope.